Google has announced a new way for publishers to mark up data on their site and give them an option of displaying their listings more enticingly in search results. The latest schema markup will now support live streams with structured data. 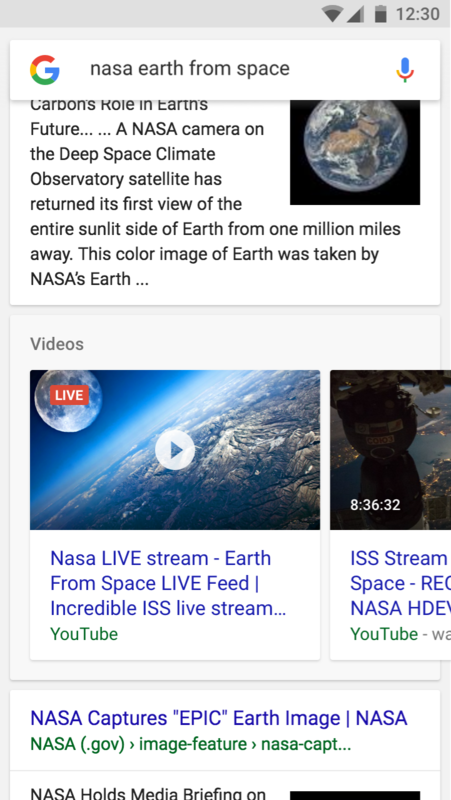 Sites can now take advantage of a combination of live stream structured data and the new Indexing API, allowing publishers to notify Google that they plan to publish a live stream video. Notifying Google about Livestreams seen as optional, but for those who produce regular live streams its seen as a best practice recommendation. In addition to marking up your live videos, sites can take the next step by leveraging Google's Indexing API. The Indexing API allows publishers to request that their website is crawled in time for the live stream. How does live Livestream schema work? Once activated on your site the live stream feature adds a live badge to video thumbnails in search results. For the badge to appear, we'll need to know whether the video is live or when the stream begins. The live badge can be applied to any public video that is live streamed for any duration of time. How to set up Livestream schema markups? To get Google to index your live stream and have it compete for the top spots in position zero for specific search terms, you need to make up the page where the live stream can be found on your site. This can be done by inserting a JSON-LD script into the head tag of the page like the example below. Conducting live streams are time-consuming even with the improvement in technology and websites like YouTube and Twitch making it easy for you. Making sure your live stream receives maximum reach and the desired impact is fundamental to making this a worthwhile exercise for you and your business. Getting more eyes to view your content in real time isn't easy with so many distractions online which means you need to attract users from every possible avenue. Marketing your upcoming live stream as an event on your social media pages, having live streams broadcast on multiple services, sending out emails around your live stream, creating teaser campaigns leading up to the live stream date and of course marking up your live streams can all contribute to its success. If you're serious about live streaming content, then you owe it to yourself to persue every option available and differentiate yourself from competitors. Having the ability to grab top real estate in Google search for a short period is an opportunity for websites to gain additional traction and drive valuable traffic spikes from SEO. First movers in this field will do well to gain these converted positions and increase their user base over time as they become an authority on live streams on specific content and topics. Attracting new users isn't just a once off, many of them will naturally explore your site after. This can lead to users wanting to engage with your other forms of media like pre-recorded video, podcasts, blog posts, services you provide, products you sell or even improve the rate of impressions for ads you serve. Sites can then use the live stream as a strategic acquisition tool for your back catalogue of content or to grow your audience for future content drives.